The Suevi were situated around the Baltic Sea, east of the Elbe, during the early days of the Roman empire (AD 98). Their name (Suevi/Suebi and later Sweben) was probably also appended to what became Sweden. Not really one people, they were made up of a broad coalition of tribes which also included the Angles, Jutes, Mattiaci, and Semnones (Juthungi). Later, while the main host of the Suebi migrated into Spain, the Langobards and Alemanni, both part of the Suebian confederation, remained behind. To the Alemanni themselves, their name was interchangeable with the Suebi name. 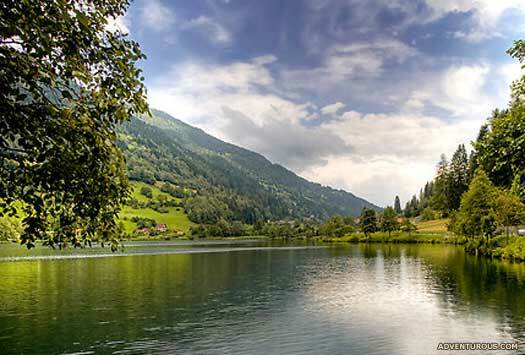 The Alemanni settled what is now south-western Germany, northern Switzerland, and the Alsace region. Just like the Suebi, they were not a single people but a confederation, their very fitting name meaning 'all men'. The largest of their tribes included the Bucinobantes, and probably the Hermunduri (broken during the Marcomannic Wars and later absorbed into both the Alemanni and Thuringians), plus the Semnones. Territory also included the eastern edge of the later Liechtenstein. Until at least the sixth century, it is likely that each tribe in the confederation largely ruled itself, with a possible over-king simply providing military leadership in times of trouble (a system very similar to that used by the Roman republic). As they were located on the eastern side of the upper Rhine, and were therefore close to the borders of the Roman empire, the Alemanni name survives today in the Romance terms for the German people as a whole, such as Allemagne. The Bucinobantes tribal name is not German at all - it's Celtic. 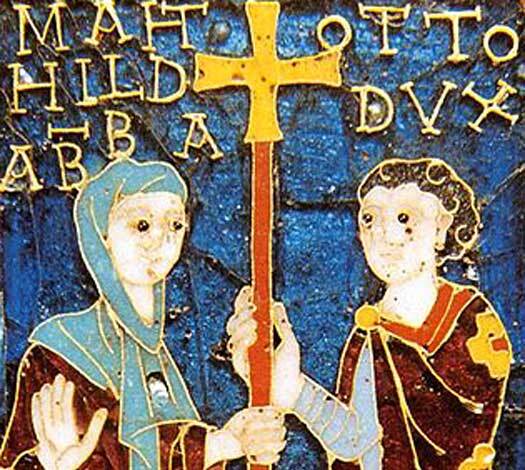 It breaks down into 'buci-' and 'nobantes', the latter of which is exactly the same as in the Novantes of Britain. The first part, 'buci', would be 'wuk' or 'wok' in proto-Celtic. The main suspicion has to be that it is a corrupted form of *wo-kāno-, meaning 'excellent'. But excellent may not be accurate, or the meaning spans more than that one word. Modern Welsh contains 'enwog', meaning 'famous'. For 'novantes', the Welsh dictionary contains the noun 'nwyf' [m.], meaning 'vivacity, energy, vigour', and 'nwyfiant' [nwyfiannau, m.], meaning 'vivacity, vigour'. It should be remembered that in Welsh an 'f' is pronounced as a 'v', so 'novantes' could be 'the vigorous'. Cognate in Latin is 'navitas', meaning 'energy, get-up-and-go', which supports this analysis. This type of name is also fairly similar to that of the Insular Trinovantes. So the Bucinovantes were probably the 'famous' or 'excellent vigorous' (with famous or excellent as the noun, and vigorous as the modifier in Celtic word order). The name is more evidence of intermixing between German and Celtic tribes. 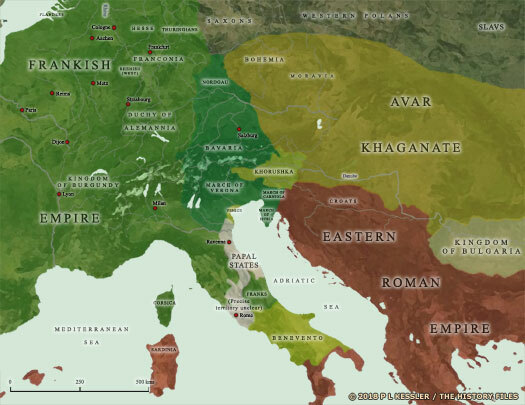 The Alamanni, Allemanni, or Alemanni are an alliance of war bands that forms up between various smaller Germanic tribes that have been migrating southwards from the Baltic Sea. By the start of the third century they are to be found in what is now central Germany, having emerged there from around the Elbe. They probably also absorb the Hermunduri in this period, and the Sedusii before the start of the fifth century. The Alemanni are first mentioned by Cassius Dio when they request help from Rome. Emperor Antoninus (Septimius Bassianus Caracalla) tries to dominate and colonise them and fighting breaks out in 213. They apparently live in the basin of the River Main, to the south of the Chatti. According to Asinius Quadratus, they have emerged from the Irminone grouping of Germanic tribes that was to be found in the Elbe region by the late first century AD. The Alemanni lose the encounter with Antoninus, and are pacified and partially colonised, but only temporarily. While they may previously have been friendly towards the empire, or at least neutral, this encounter turns them into implacable adversaries of Rome. Now largely Romanised through their contact of a generation before, living in Roman-style houses and using Roman goods, the Alemanni make the first of their invasions of the Roman empire. They participate decisively in the plundering raids into the Limes Germanicus, the provinces beyond, and even into Italy. In central Germany. Possibly not the same as Crocus of 306? The Alemanni break the Roman limes in strength, causing widespread damage. The archaeological evidence reveals a lack of continuity in the provincial Roman population. Roman encampments and settlements, including the villae rusticae (farms), are abandoned and destroyed. One such settlement is Brigantion, former fortified town of the Brigantii tribe of Celts, whilst Augusta Raurica of the Raurici tribe is also destroyed. With extraordinary effectiveness the Alemanni penetrate as far as Italy where they are at last halted (the Juthungi can be included in this invasion). Emperor Gallienus defeats them in battle at Mediolanum (Milan) in 259, but the limes region is not resettled until the fourth century, and it is the Alemanni who conquer it. The Alemanni incur into Italy after breaking through the frontier at Brenner Pass. 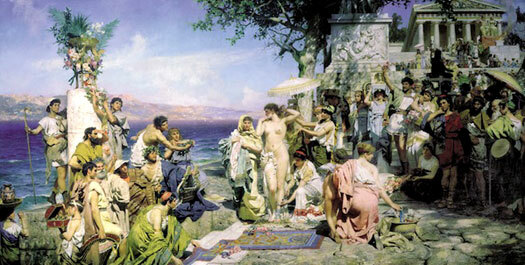 They are confronted by Emperor Claudius II who may initially attempt to negotiate a peace. This fails and the resultant Battle of Benacus (Lake Garda) in November is a crushing victory for Rome. More than half the Alemanni are killed or captured and the rest flee northwards over the Alps and back into their territory. Another Alemanni incursion results in three battles being fought between them and Rome, those of Placentia in which they defeat Emperor Aurelian in Italy; Fano, in which Aurelian strikes back to inflict a defeat on the Alemanni, forcing them to begin a retreat; and Pavia, in which the retreating Alemannic army is destroyed. In the late third century, Heruli raid into Iberia along with Alemanni and Saxons, possibly as a result of the Lower Rhine incursions of 287. Roman Emperor Maximianus is involved in heavy fighting on the Lower Rhine and also on the Upper Danube. King Crocus of the Alemanni is the commander of a cohort serving in Britain at this time. It is Crocus who encourages Constantine to accept the army's proclamation of him as Augustus upon the death of his father at Eboracum (York). Father of Chronodemar and Agenarich. The Alemanni conquer the regions around the former limes which they had devastated in their raids of 258-260. It is this region that forms their permanent home, with them absorbing local tribes such as the Vangiones while other Germanic tribes are starting to found permanent kingdoms elsewhere in Western Europe. It is also this region, which has long been settled by the neighbouring Suevi, that later emerges as the duchy of Swabia. The Alemanni still do not have one single ruler, but the Bucinobantes are one of the more dominant tribes, and their rulers are shown below in green to highlight them. Other rulers are known, but their tribal affiliation is less certain, so that there often appears to be several kings ruling simultaneously. First Alemanni ruler in their new permanent homeland? Battles take place at Rheims and Argentoratum (modern Strasbourg, tribal centre of the Triboci tribe of Germans) respectively in which the Alemanni (and Juthungi) are defeated by Rome. Following the second defeat, the Alemanni are expelled from the Rhineland and their recognised leader, Chronodemar, is exiled to Rome after having been captured. Alemannic leader of the Bucinobantes. 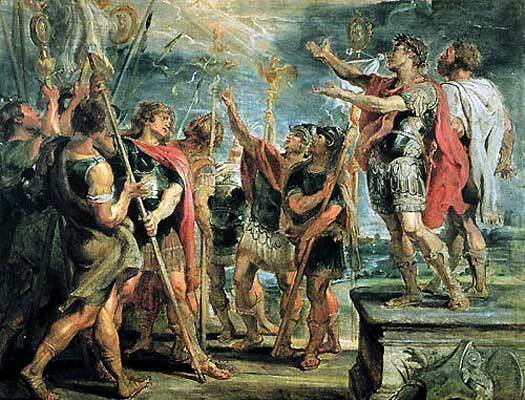 Roman historian Ammianus Marcellinus records that Emperor Julian the Apostate crosses the Rhine near Mainz to conduct negotiations with Macrian, the chief of the Bucinobantes, along with other Alemannic chiefs. The forces of the Alemanni chief, Rando, sack the Roman city of Moguntiacum (Metz, or Mainz). 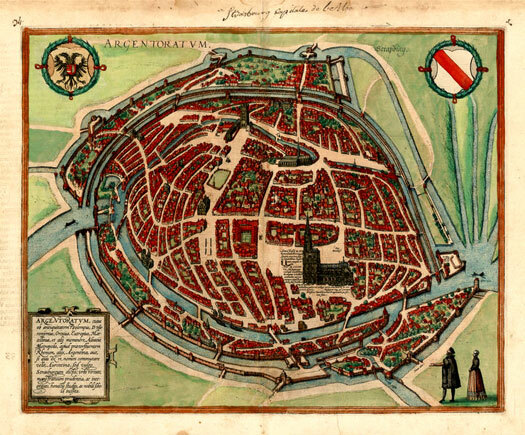 The city is a frequent target for Alemannic attacks until it later falls to the Franks. Vassal of Rome. Sent to Britain. Following several rebellions by Macrian, king of the Bucinobantes, Roman Emperor Valentinian I appoints Fraomar as his replacement. The appointment is not accepted by the Alemanni themselves and Valentinian is forced to agree an alliance with Macrian in 371. In an act of imperial favour, Fraomar is sent to Britain as a military tribune to command a unit of Alemannic cavalry which is already stationed on the island, as recorded by Ammianus (and backed up by archaeological evidence). The Quadi are badly disrupted by the invasion of the Huns into central Europe as the latter take control of the territory to the north of the Danube. Their arrival triggers sudden shifts in all the tribes in the region, and the wave of population movement and change effectively destroys the Quadi. It is presumed that remnants of the tribe attach themselves to other, bigger tribes, including the Alemanni, Rugii, Suevi, and Vandali. Priarius is defeated at Argentorate (Argentovaria, modern Strasbourg) by the Frankish leader, Mallobaudes, and the Roman army of Gaul under western emperor Gratianus. The Frankish chief, Mallobaudes, is still serving with the Roman army, and it is he who kills Macrian, king of the Bucinobantes, in the region of Mainz on the River Main. The bulk of the Suevi cross the Rhine at Moguntiacum (Mainz) in 406 in association with the Vandali and Alani, but their close associates, the Alemanni, remain behind. They do not take part in any decisive events regarding the decline of the Roman empire. Between these two dates, the Roman general Aëtius fights against the Juthungi in Raetia. This appears to be their final mention in history. Presumably they are submerged within the Alemannic confederation. Apparently a single king for the unified Alemannic people. The Franks conquer the Alemanni at the Battle of Tolbiac in 496, although the victory is a narrow one. The Alemanni and their western neighbours, the Ripaurian Franks on the east bank of the Rhine have long been engaging in minor skirmishes. Now the Alemanni appear to instigate a full-blown attack on the Ripaurian Franks who are led by Sigobert the Lame. He calls on his ally, Clovis, of the Salian Franks, and a relief army soon arrives. Even Clovis is hard-pressed to defeat the Alemanni, and Gregory of Tours equates his victory with his subsequent conversion to Christianity. The site of the battle, Tolbiac or Tulpiacum, is usually linked to Zülpich in the modern German state of North Rhine-Westphalia, not far from the Belgian border. 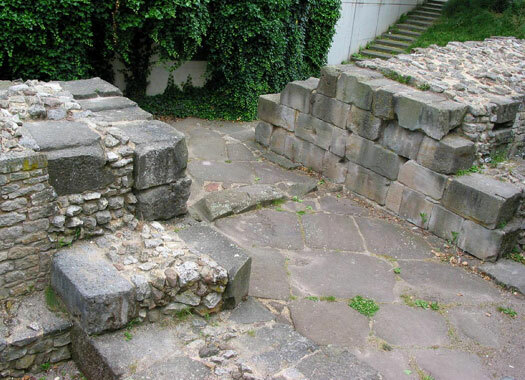 This is one of the two main cities of the Ripaurian Franks so its use as a battlefield supports the claim that the Alemanni had been the aggressors. The Alemanni are now arranged into a formal duchy which is seemingly governed directly by Clovis. The duchy of Alemannia had been created by Clovis, king of the increasingly powerful Franks, following Frankish victory at the Battle of Tolbiac in AD 496. An Alemannic uprising in 505 was defeated, and it is sometimes this defeat that is referred to as the Battle of Tolbiac, just to confuse matters. In effect, the former Alemannic kingdom was drawn directly within the Frankish kingdom, massively increasing its eastward reach to the detriment of the Ripaurian Franks on the east bank of the Rhine. Any independence the Alemanni may have enjoyed after 496 was certainly lost in 505, although there appears to be no known duke of Alemannia until the appearance of Leuthari around 536. It was probably these events that caused some Alemanni to drift south-eastwards where they formed part of the Bavarii confederation. Back at home, the hilltop settlements of the Alemannic nobility were abandoned and their cemeteries fell into disuse. At the same time, strategically situated settlements of Frankish warriors and their entourages emerged in the sixth and seventh centuries. This new wave of settlement progressed from the east bank of the Rhine at the confluence of the River Main, following the latter river upstream to form a region that later became known as Franconia. These Frankish officials also included warrior groups of Thuringian origin that became Frankish subjects after the defeat of Thuringia in 531. After 511 the Alemanni territory falls under the command of Austrasia. Local rulers are appointed, probably of Alemannic stock, although not necessarily related to any of the former chiefs, and Christianity is slowly introduced during the course of the next century or so. Details about the local rulers are very sketchy, sometimes not even providing names, and the first of them does not appear until after the Thuringian defeat of 531. This could be due to the possibility that Austrasia is able to govern the region directly until the Thuringian lands are added to their territory. After that a vassal governor is probably required, with Leuthari possibly governing both regions simultaneously or he and Butilin dividing the regions between them. Apparently co-ruled with Leuthari (one of them to each region?). The reason for both Leuthari and Butilin disappearing from office at the same time is unknown. Could they be killed in battle during one of the Frankish conquests? The Bavarians are conquered in 555, and Chlothar the Old inherits the kingdom of Austrasia on the death of his nephew, Theudebald, briefly reunifying it with his own senior kingdom of Soissons until his death. By this stage, he is clearly the most powerful of the surviving Frankish kings and the superiority of Soissons is fully established as the kingdom's core. However, the change of leadership in Austrasia could be another reason for the change of duke in Alemannia. Minor ruler. Governed in the Avenches diocese. Removed from office by Childebert II of Austrasia. Theodefrid (or Theodefridus in Latin) is the Frankish duke of Alemannia in the diocese of Avenches until 573, when Marius becomes bishop and takes over the secular affairs of the diocese. Marius in his Chronicon mentions five dukes that have ruled Avenches between 548 and 573. Theodefrid is the last and is a successor of Vaefar. Marius calls him a Frank, but Agathias leads some to believe that he is an Alemanni. Childebert's appointed replacement for Leutfred. Died c.613. Removed from office in 613? Gunzo's residence is at Villa Iburninga (modern Überlingen), at Lake Constance. He is the father of Fridiburga, who has been engaged to Sigisbert II, 'false' king of Burgundy and Austrasia who is killed in this year. This appears to end Gunzo's tenure as duke of Alemannia with Clothar II of the Franks no doubt appointing his own favoured successor. Whether Gunzo has governed all of Alemannia or only the eastern part is somewhat disputed. If the former is the case, then he could be identified with Gundoin, duke of Alsace and founder of the Moutier-Grandval monastery. However, Gunzo must succeed to some other position of influence or wealth (although it is possible that he returns as a duke of Alemannia). In 635 he organises a synod in Constance, which results in the election of Deacon John of Grab as bishop of Constance, succeeding the deceased Bishop Gaudentius. This event is the earliest certain attestation of Constance as an independent bishopric (later to be a powerful prince-bishopric). Governed mainly in the south? Dagobert I of Austrasia has gained Neustria (in 629), and the Frankish kingdom overall (in 630). Around this year, Duke Chrodebert of Alemannia participates in Dagobert's assault on the realm of the Carinthian Slavs to the east. The Alemannic host (exercitus Alamannorum, in the words of the Chronicle of Fredegar) is one of three columns formed by the Austrasian army (exercitus regnum universum Austrasiorum). While the Alemanni win a battle at an unknown location and their Lombard allies are successful against the Slavs in the Julian Alps, the main Austrasian Frankish army under Dagobert is defeated at the Battle of Wogastisburg. Towards the end of the life of Dagobert I of Austrasia, possibly around AD 634, he appoints one Hruodi to command the River Main region from its capital at Würzburg. For almost a century now, Franks have been settling along the course of the Main, following its eastward course. Early in the seventh century, Slavs begin settling to the north-east, so Hruodi's appointment is an attempt to stabilise this eastern area of Austrasia that is gradually becoming known as Franconia. Hruodi may be the same figure as the powerful Duke Radulf of Thuringia, but is more likely to be a counterbalance to him, in order to prevent him from adding to his own territory in a region in which firm borders have yet to be established. One theory equates Hruodi with Chrodebert of Alemannia. There is certainly some similarity in the way the names are pronounced, but there is no evidence to support the theory. Returned to some form of office as (junior?) duke? Possibly senior duke over Gunzo. Leutfred is also known by a host of variations, including Leuthari, Leutharis, Leuthard, or Leutharius II. It is he who now murders Otto, mayor of the palace of Austrasia. By doing so he places Grimoald I in the position for his overlord, Sigisbert III, strengthening the role of the Carolingian mayors of the palace. Married to a daughter of Theodo of Bavaria, Godefred (Gotfried of Allemania) is a member of the House of the Agilolfing, Bavaria's governing family. In a document dated to the year 700 in Cannstatt, and at the request of a priest named Magulfus, Godefred donates the castle of Biberburg to the monastery of Saint Gall. During his short period of office (which may well date from around 695, but nothing is recorded until 700), Godefred also fights a war against the Frankish mayor of the palace, Pepin of Herstal, over the duke's de facto independence. The situation remains unresolved when Godefred dies in 709. However, his sons, Lanfred and Theodobald, have the support of Pepin and succeed Godefred as dukes of Alemannia (perhaps following a short delay). Missing from some lists. Minor ruler? Probably a minor ruler. Governed in Ortenau. Son of Godefred. Possibly ruled from 709. It seems that Lanfred and his brother, Theodobald, have been governing Alemannia side-by-side, as equals. However, during a military campaign in 730 Lanfred is killed and Theodobald becomes sole duke. During his time in this office Theodobald has already expelled Pirmin, founder of Reichenau Abbey, due to his own intense dislike of Charles Martel, Frankish mayor of the palace. 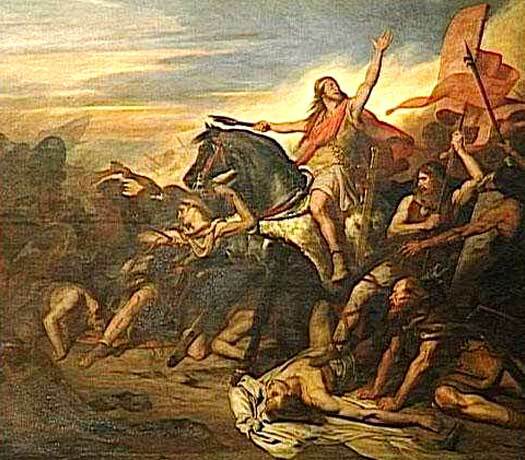 In 732 Charles Martel repays the favour and chases Theodobald out of Alemannia. Brother. Possibly co-ruled with Lanfred. Murdered? 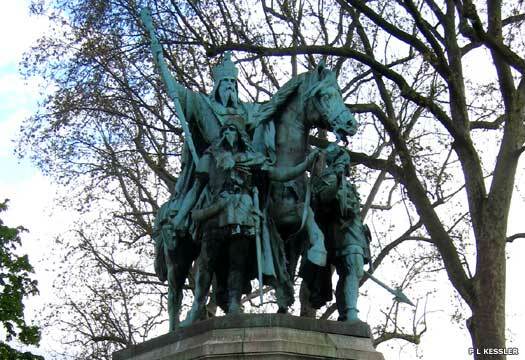 Upon the death of Charles Martel in 741, Theodobald is able to return and reclaim his ducal seat. The following year he rebels against the nominal authority of the Merovingian monarchy which is currently being exercised by the two mayors of the palace, Carloman and Pepin the Short. His timing is perfect as Aquitaine, the Bavarians, and the Saxons all revolt simultaneously. Later in the same year Theudebald invades the duchy of Alsace under Duke Liutfrid. The latter is probably killed alongside his son whilst fighting for the mayors. In 744, Pepin invades the Swabian Alps and chases Theudebald from his mountain redoubt. He is subsequently defeated in Alsace by Pepin's select band of warriors. A year later, Carloman has to march against the duke again, this time defeating him. It is unclear whether Theodobald survives to play a part in the events of 746, or whether he is replaced or succeeded by Nebi as duke. Last of the Alemannic dukes? The Carolingian mayor of the palace, Carloman, ends the Alemannic uprising once and for all. He invites the nobility to a council at Cannstatt and then arrests them. Several thousand of them are executed for high treason, wiping out the Alemannic nobility at what becomes known as the blood court at Cannstatt. For the next century, Alemannia is ruled by Frankish dukes. With the blessing of Pope Zachary, Pepin III, the Carolingian mayor of the palace deposes Childeric and the Merovingian royal house and takes control of the empire (King Childeric is sent to a monastery and dies in 755). 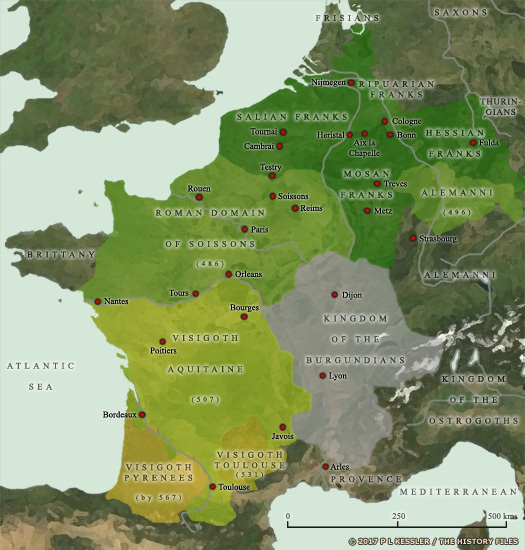 Pepin is crowned at Soissons in 752 and Saint-Denis in 754, and thereafter benefits from the legitimacy acquired by the creator of the Frankish kingdom, Clovis I. The death of the Frankish king, Pepin III sees his domains divided between his two sons, with Charlemagne gaining parts of Aquitaine, plus Neustria, Austrasia, and the Germanic dependencies which include the Alemanni, and Carloman gaining the remainder: Soissons, the Massif Central, the Languedoc, the rest of Aquitaine, Provence, Burgundy, southern Austrasia, Alsace and Alemannia. By the Act of Thionville in 806, Charlemagne announces the division of his vast empire between his three sons. By 814, Pepin in Italy has already predeceased his father (810), as has Charles (813), so Louis the Pious is crowned Frankish emperor at Aix-la-Chapelle. It is also at this point that the list of vassal dukes of Alemannia stops. It appears that control of the region is given to Carolingian nobles from at least 829, with the title 'Duke of Alemannia' being used as a regional basis of authority over south-western Germany rather than as the head of the post-tribal duchy that the Alemanni had become. King of the Western Franks (840-877). Father. Carolingian Frankish Roman Emperor (814-840). King of the Eastern Franks (840-879). Before his death the Frankish emperor, Louis, who is also duke of Alemannia, promulgates the Ordinatio Imperii, proclaiming that his eldest son, Lothar, will inherit the entire empire. Lothar initially claims overlordship over all three Frankish regions until he loses a civil war. The Treaty of Verdun in 843 confirms the official division of the empire between Charlemagne's surviving three grandsons. Louis the German receives Eastern Francia (Germany), which includes Alemannia, Bavaria, Khorushka, and Saxony, plus regions that are already emerging as Franconia and Thuringia. King of the Eastern Franks (876-887). The death of Louis the German results in his territory being divided between his three sons. This is something that he had already foreseen, and portions of territory had been appointed to each of them in 865. Now in a peaceful succession, Carloman inherits Bavaria and the Ostmark, Louis the Younger gains Franconia, Saxony, and Thuringia, while Charles the Fat succeeds to Rhaetia and Swabia (Alemannia, which he has held in name since 863). As the oldest son, Carloman also retains de facto dominance over the Eastern Franks as a whole. King of the Eastern Franks (887-899). The rule of East Francia falls to non-Frankish emperors when the weak Charles the Fat is deposed by the Germans at the Diet of Tribur (November 887). The Frankish empire is officially divided between East and West. The western section becomes France, the eastern section Germany). Charles the Fat takes refuge in the monastery of Reichenau in Swabia where he dies the following year. King of the Eastern Franks (899-911). Already very powerful in Swabia thanks to his role as administrator of the Abbey of Lorsch in Swabia, Burkhard's power now increases when he accedes to the margraviate of Rhaetia. While Louis the Child is the titular duke of Swabia, it is Burkhard who wields power there, although not in the sense of the later, formally titled dukes. Margrave of Rhaetia. Count in the Thurgau & Baar. 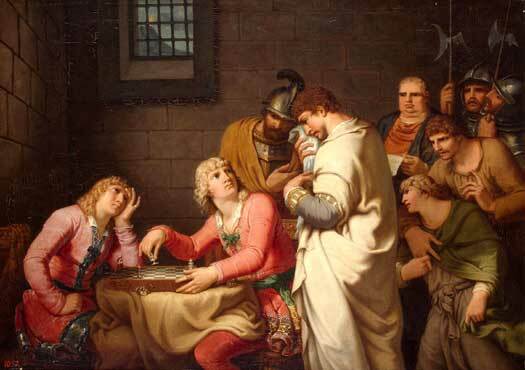 Burkhard is arrested and charged with high treason thanks to his conflict against the Count Palatine Erchanger and Bishop Soloman III of Constance, both of whom are loyal to the newly-elected king of Germany, Conrad I. The titular use of the title 'Duke of the Alemanni' is dropped as the Frankish empire disintegrates. A large-scale political reorganisation of south-western Germany creates the duchy of Swabia. 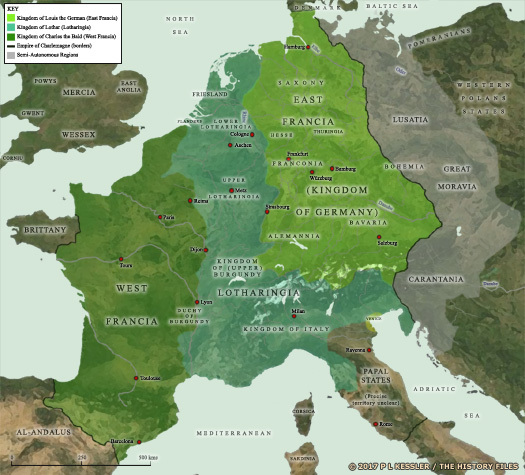 Medieval Swabia emerged as a stem duchy from the fragmentation of the Frankish empire when the Eastern Frankish kingdom of Germany was formally secured by German rulers. The Swabian territory was extremely disorganised at this time, even in comparison to its neighbours. The German states were drastically reorganised, in this case disposing of the former Germanic Alemanni tribal affiliation. However, although the Alemanni name had been disposed of in political usage, it persisted in appellations for the German people as a whole, such as Allemagne. The new duchy, one of five and therefore extremely powerful in medieval Germany, included the Alsace region, just as the Alemanni kingdom had before, and was situated in the south-west of modern Germany, mostly within what is now Baden-Württemberg. Franconia lay to its north and Bavaria to the east, while Vorarlberg (now the westernmost state of Austria) and Liechtenstein were included within its territory. Its name was taken from that of the original tribal host, the Suebi, of which the Alemanni had been part. Following his part in the downfall of the powerful Burkhard I, last duke of Alemannia, Count Palatine Erchanger continues to strive for greater power of his own in Swabia. As the grandson of Louis (II) the German, king of East Francia, Erchanger is already powerful in his role of missus dominicus (envoy in Swabia for the king of Germany), but in September 915, he gains the duchy when he is proclaimed duke of Swabia by the nobility. After being defeated at the Battle of Wahlwies, the proclamation is not supported by King Conrad I of Germany, despite him being Erchanger's brother-in-law. Count Palatine who helped in the downfall of Burkhard I.
Erchanger is condemned to remain within a monastery by the high court at Hohenaltheim in September 916, following his offences against the king and Bishop Soloman III of Constance, whom he had imprisoned briefly in 914. Erchanger is killed on the order of the king on 21 January 917. His recent ally, Burkhard II, seizes all of his lands and is universally recognised as duke. Son of Burkhard I. Count of Rhaetia. Killed in battle. Son of Gebhard of Lotharingia & Hessi. Married Burkhard's widow. Son of Otto I of Saxony. m Herman's dau, Ida, in 947/8. Died 957. Feeling that his position is threatened by his father's marriage to Adelaide, heiress of Italy, Ludolph joins forces with his brother-in-law, Conrad the Red, duke of Lorraine, in revolt. Ludolph is supported by the Swabians, but Conrad fails to gain the same support from his own subjects. Otto I of Saxony and Henry I of Bavaria defeat the rebellion. The following year, Ludolph is deprived of his title. Son of Burkhard II. Count of Thurgau & Zürichgau. Son of Ludolph. Duke of Bavaria (976) & Carinthia (978). Henry the Quarrelsome, duke of Bavaria, rebels against Holy Roman Emperor Otto II. As a result, Henry is deprived of his Bavarian title and possessions. Otto I of Swabia is created duke of Bavaria in his place, easily done as Swabia and Bavaria neighbour each other. Carinthia is formally separated from Bavaria by Otto II and made a duchy in its own right - one of many large-scale reorganisations of German lands which also involves the creation of the stem duchies. The Kalbids, raiding into south-western Italy from their emirate on Sicily, are confronted by an army led by Otto II. The Kalbid forces prove their power at this time by defeating their opponents in battle near Crotone in Calabria. Swabia's Otto I is amongst the defeated nobles, and he also escapes a subsequent Arab ambush. The duke is selected to take the news of the defeat back to Germany but dies en route. Without an heir, his Swabian duchy passes to Conrad of the House of Wetterau (otherwise known as the Conradines of Rhenish Franconia), restoring their control for the first time since 948. Descendant of Conrad I of Franconia. Swabia loses Alsace, which is separated from it by the German emperor, Henry II the Saint following Herman's opposition to his accession as king and emperor. Herman had seen himself as a suitable candidate for the title. The young Herman III dies childless, ending the Conradine succession to the duchy. Ernest of Babenburg, the younger son of the first Babenburg margrave of Austria, is appointed duke of Swabia by the German emperor, Henry II. He further legitimises his hold on the title by marrying Gisela, heiress of Swabia (and Herman's sister). Herman's other main title, count of Wetterau, passes to his second cousin, Count Kuno von Wetterau of Rheinfelden. Son of Leopold I of Austria. Died after a hunting accident. Following the untimely death of Duke Ernest I, his son succeeds him as a minor. At first, the boy's mother is regent, but she is eventually replaced by Poppo, archbishop of Trier and another son of Leopold I of Austria, probably following her second marriage in 1016, to German Emperor Conrad II the Salian. Son. Acceded as a minor. Killed in battle in 1030. Mother and regent. Sister of Herman III. Son of Leopold I of Austria. Regent, and archbishop of Trier. Ernest II takes part in an unsuccessful rebellion against the German Emperor Conrad II the Salian (his own mother's second husband). As a result, he is captured, but his mother intercedes to prevent his execution and he is imprisoned instead. It is possible that Gisela governs the duchy during this period. When he is released he refuses to fight Conrad's enemies and is stripped of his title in favour of his younger brother. A few months later he is killed in battle against the men of the bishop of Constance. Brother of Ernest II. Killed by an epidemic. Herman IV, still a minor at the time of his accession, is campaigning in southern Italy alongside HRE Conrad II. When the young duke is struck down by an epidemic, Conrad ignores the rights to the duchy that are held by Gebhard, son of Herman, and instead transfers it to his own son, Henry the Black. Gebhard retains the county of Sulzbach, whilst his younger brother remains Adalbert I, count of Windberg. Henry also gains Burgundy. Son of Conrad II. Duke of Bavaria (VI), Franconia & HRE Henry III. 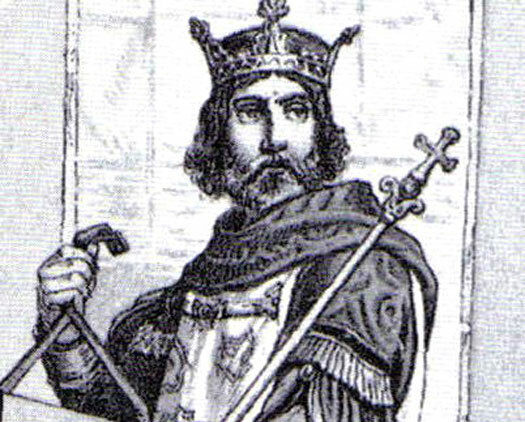 Otto, Count Palatine of Lotharingia (1034-1045), is selected to be Swabia's next duke while Henry is absorbed with the duties of his own higher office. Otto gives up the Palatine in favour of his cousin, Henry, but remains count in Deutz and Auelgau (1025-1047). His territories in Kaiserswerth and Duisburg devolve on the crown. He is also the protector of Brauweiler, the son of Ezzo (former Count Palatine) and Matilda (daughter of Emperor Otto II). 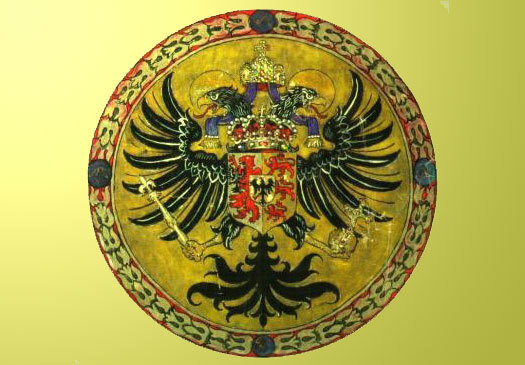 Son-in-law of HRE Otto II. Count of Deutz & Auelgau. An East Franconian prince. Margrave of the Nordgau (1024-1031). Rival for HRE (1077-1080). Died following battle. With the removal of Swabia from the control of Rudolph of Rheinfelden, the Swabian Hohenstaufen family of nobles gains the duchy through Frederick's marriage to Agnes of Germany, granddaughter of Henry I the Black. It swiftly becomes one of the most powerful families, holding onto the duchy for most of the remainder of its existence and supplying several Holy Roman emperors. In 1080, the bid by Rudolf of Rheinfelden to oppose Emperor Henry IV and secure the throne fails when he is fatally wounded during the Battle on the Elster on 15 October 1080. Despite his forces beating those of Henry, his rebellion falls apart without his leadership. In Swabia, Frederick Hohenstaufen is opposed by Rudolph's son, Berthold, while the latter is in exile in Saxony. Son of Rudolph. Opposed Hohenstaufen rule. Son of Berthold II of Carinthia. First duke of Zähringen. Upon the death of Holy Roman Emperor Henry V, Frederick II puts himself forward as a candidate for the imperial title but he is beaten to it by the successful election of Lothar. Conflict erupts between the two, and the rivalry has a destabilising effect on Germany as a whole. Lothar and his Hohenstaufen successors in Franconia are supported by Louis I of Thuringia. In 1137 the county of Württemberg is formed in western central Swabia as another step towards the total disintegration of the duchy during the general political crisis in the country. Son. HRE Frederick I (1152-1190). Cousin. Son of Conrad I Hohenstaufen of Franconia. Died. Frederick IV, gifted the duchy by his cousin, Frederick Barbarossa (now Holy Roman Emperor) dies on campaign in Rome. Frederick Barbarossa passes the duchy onto his own three year-old son. Barbarossa effectively controls the duchy directly through his tight control of the succession, not only through these two Fredericks, but also through Frederick VI, who only survives him by a year. Infant son of Frederick III. Died. Elder brother. Died without an heir. Brother. Duke of Rothenburg (1188-1191). Died unexpectedly. Brother. Rival for HRE (1198-1208). Murdered. Many other members of the German nobility also hurry back to their seats in order to protect their interests during the coming struggle. They have been involved in the short-lived German Crusade (otherwise known as the Crusade of 1197 or the Crusade of Henry VI), including Ulrich II of Carinthia. Henry VI had been determined to complete the work of his father in the Holy Land with a fresh expedition, but he himself had died before even embarking. Those who remain in the Holy Land capture territory for the kingdom of Jerusalem between Tyre and Tripoli, restoring the land link to the county of Tripoli, but the campaign ends abruptly with the recapture of the lordships of Beirut and Sidon in 1198 (both lost to Saladin in 1187 - the brotherhood of the Teutonic Knights is also elevated in this year to a spiritual military order, and its priors become grand masters). The war between rival emperors, Philip Hohenstaufen of Swabia and Otto of Brunswick, lasts with varying fortunes until Hermann of Thuringia submits in 1204. Adolph of Cologne and Henry I, duke of Brabant soon follow suit, but Philip is murdered before the final peace can be agreed. Otto secures the throne for himself (and also Swabia) until 1215 when the young Frederick can finally succeed his father, Henry VI. 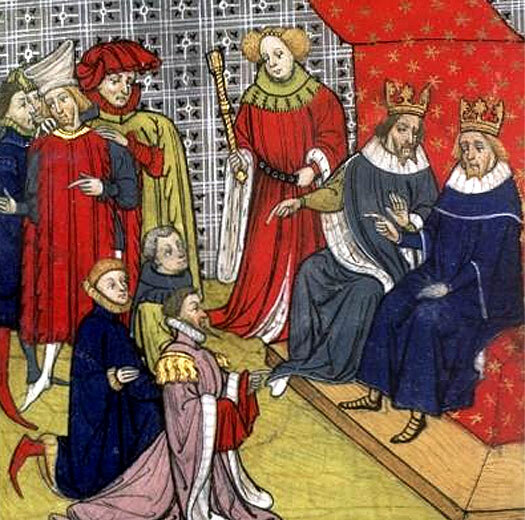 Otto inherits the seat of Swabia through his marriage to Beatrice, Philip's daughter. His hold on it is brief however, and it soon passes back to the Hohenstaufens. Earl of York (1190-1218). HRE (1198-1215). Died 1218. Grandson of Frederick III. HRE Frederick II (1212-1250). The confirmation of Frederick's election as Holy Roman Emperor in 1215 allows him to devolve power in Swabia to his son in 1216, while he concentrates on the trappings of higher office. Henry also serves as co-ruler in the kingdom of Naples & Sicily between 1212-1217, and co-ruler of Germany itself between 1220-1235, as Henry (VII). Son. King of Naples & Sicily (1212-1217). HRE (1220-1235). Half-brother. HRE Conrad IV (1250-1254). With the death of Conrad by malaria, his young son, Conradin, is recognised as the new duke of Swabia and also as the new Holy Roman Emperor by his supporters. He fails to actually succeed his father to the latter title, however, and no single emperor is recognised. There is an interregnum and Germany begins a period of collapse. Son. King of Jerusalem & Sicily. Last Hohenstaufen. Executed. Part of the territory of Swabia, an obscure and unimportant part in the mountainous west, is given over to the newly formed county of Vaduz. The Schellenbergs under Marquard now govern this important route into Italy. Conradin assembles a multinational army in Italy, determined to secure his own claim to Sicily in opposition to Charles I of Anjou. He is ably assisted by Frederick I of Baden, but the pair are defeated at Tagliacozzo, and both are soon arrested. The execution of Conradin, last of the Hohenstaufen dynasty, on 29 October 1268 triggers the gradual break-up of the duchy into a plethora of smaller states including margraviates, landgraviates, counties, bishoprics, abbacies, and the duchy of Teck. The kingdom of Naples & Sicily passes to the Angevins. The heiress of Swabia is Margaret, Conradin's father's half-sister. She has been married to Albert, landgrave of Thuringia, since 1255, and their son, Frederick, now claims Swabia on his mother's behalf. The claim receives little support as Swabia is already disintegrating. In December 1282, as Holy Roman Emperor, Rudolph gives the duchies of Austria and Styria to his sons, Albert and Rudolf II. On 1 June 1283, the Treaty of Rheinfelden stipulates that Rudolph II has to relinquish his title in favour of Albert. In compensation he is appointed titular duke of Swabia, little more than an honorific title as the duchy no longer exists as a coherent entity. Various minor territories previously held by the counts of Habsburg are later classed as Further Austria, but these are never possessed by Rudolph. Duke Rudolph II of Austria (1278-1282). HRE (1273-1291). The Swiss confederation is formed on Swabia's southern border. Thanks to the failure of Holy Roman Emperor Albert of Austria to address the problem of adequate compensation for the loss of Styria in 1283 by Rudolph II, the duke is assassinated by Rudolph's son, John. John is named 'Parricide', and continues to hold his inherited claim on Swabia. John dies, probably at Pisa, and any claim to the former Swabian duchy dies with him. Former East Francia, or Germany as it is now, is at a point of collapse by this time, and the break-up of Swabia is complete. Large areas of its territory have already gone to the established county of Württemberg and the margraviate of Baden. Territory formerly belonging to the Alemanni people later forms parts of Austria (Vorarlberg), Bavaria (Bavarian Swabia), France (Alsace) and Switzerland.